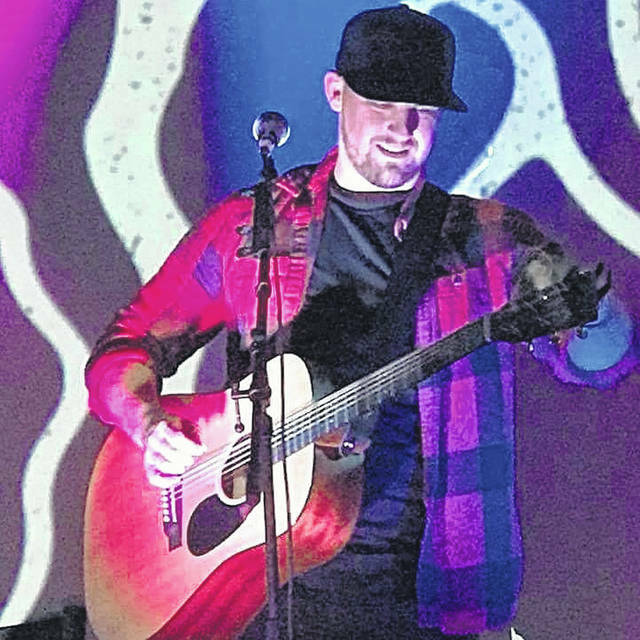 Devin Henry, pictured, a native of Gallipolis, currently signed to Nashville Entertainment Weekly Records, will be performing at the Relocation Jam this Saturday to benefit the relocation of the Gallia County Jr. Fairgrounds. Food, concessions, prize drawings and inflatables will also be offered at the family-friendly, fundraising event. Matt Metheney, pictured, a native of Rutland, will be performing this Saturday at the Relocation Jam. GALLIPOLIS — The dream of building a new home takes creativity, patience and an extended family…some with guitars. This Saturday is the “Relocation Jam” with all proceeds benefiting the Gallia County Jr. Fairgrounds Relocation Project. Gates open at 4 p.m. and the music, provided by popular, local musicians Devin Henry and Matt Metheney, starts at 6 p.m. In addition to the music, there will be food, inflatables, prize drawings and more at this family-friendly event held at the Gallia County Jr. Fairgrounds, with the concert performed from the Holzer Main Stage. Pre-sale tickets are $10 or $15 at the gate the day of the event. Tickets can be purchased online at https://app.donorview.com or go to the Relocation Jam’s Facebook event page for a quick link to buy tickets. Those who purchase tickets early are entered into a prize drawing. Each gate admission will be entered to win a prize. Volunteers have been steadily raising funds for that “Fair For Our Future” they hope to see someday, following years of flooding issues at the current location. Danella Newberry, who is the president of the Gallia County Jr. Fair Board and one of the fair relocation committee members, said this project isn’t something that will happen all at once. “We have to do this piece by piece,” Newberry said about the grassroots efforts to bring this dream into a reality one step at a time. She explained the committee is currently focused on raising enough funds to put the proper infrastructure in the new location which is behind the current location, on the back section of the property where flooding isn’t an issue. Things like roads, sewer, water and electric are vital to the new fair ground’s future, though they are not cheap. Newberry added there are currently three buildings on the new relocation site, one of which was built and donated by Thomas Do-It Center while the other two were built with grant and insurance money that had to be used within a specific period of time, or the money would’ve been lost. Henry has developed a large, local following and more recently has performed at venues in Nashville, Tenn., including the storied Bluebird Cafe. He’s also signed to Nashville Entertainment Weekly Records. He describes himself as an Ohio-Made Country Artist, making a new type of country music which can be found on Spotify, Apple Music, or Google. His latest single “23 Empty” about the loss of a close friend, has been picking up steam on country music stations across the country. Henry’s parents are originally from Mason County where he still has several family members. Metheney also has a large, local fan base. 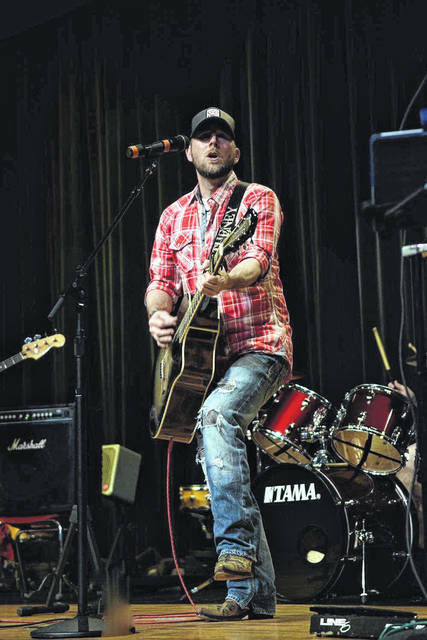 A native of Rutland in Meigs County, he also has performed in Nashville, Tenn., at The Adelphia Music Hall in Marietta, The Colony Club in Gallipolis, as well as at several local events, including the Mayor’s Night Out concert series in Point Pleasant. This is a rain or shine event. Contact Ginger Thompson 740-645-7596 for more information. Follow A Fair For Our Future Facebook page for more information on upcoming, fundraising events, like the Fall Festival and Haunted House planned for 3-11 p.m., Saturday, Oct. 27 at the Gallia County Jr. Fairgrounds. This entry was tagged Devin Henry, Gallia County Ohio, junior fair, Matt Metheny. Bookmark the permalink.